Luc has lusted over Rick for a while, which is why he almost freaks when his uncle suggests that he shadows him. He doesn’t want to give Rick a bad impression of him – but impressing him isn’t remotely possible. Except that’s exactly what he ends up doing, even though he thinks he’s totally screwed things up. It’s Luc’s personality and attitude that eventually win Rick over. Yet, they still have a few minor obstacles in their way to a HEA. This was my first CM Corett read, but I’m pretty sure that I’m going to be checking out what else she has to offer. Happy reading! This is a short, sweet and rather romantic tale, that takes place over nothing more than a couple of days, but it worked because there was a budding connection of sorts between the guys and because of where the author set the tale. 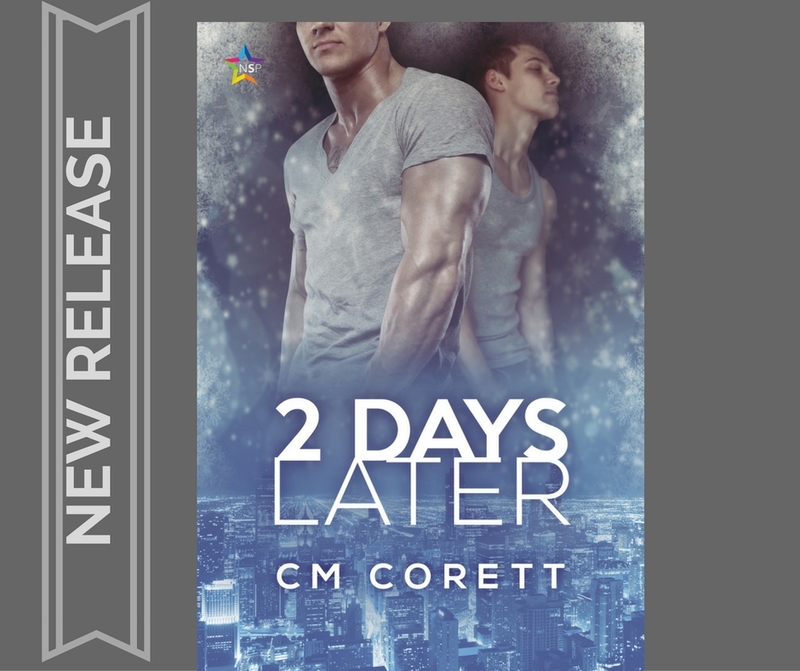 It’s release Day and 2 Days Later is now available! Nate doesn’t believe in New Years celebrations. A Happy New Year? Not Likely. Excerpt ***… story is engaging and the characters well-developed and likeable. Of course, Thomas stole the show with his adorableness, compassion, intelligence, and bravery. Adding a child, especially one as involved as Thomas, made the story even more poignant. If you like a romantic, fairy-tale-like story, filled with action, intrigue, an adorable little boy, two handsome men in love, and a happy ending, this…. Thanks, CM, for an entertaining, relaxing read.